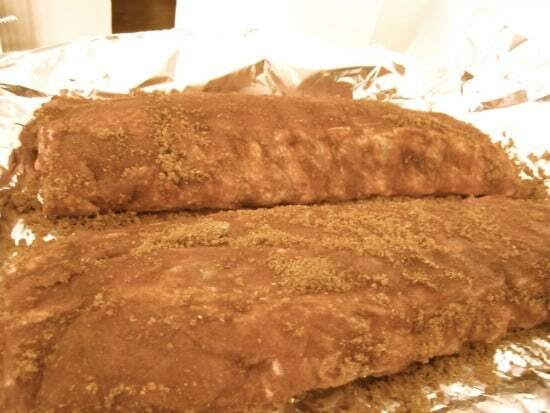 Learn how to make easy oven smoked ribs! No smoker? No problem! This easy recipe for making smoked ribs in the oven is about to change your life! My husband has recently become a BBQ junkie. It all started with a local place in my hometown, Roy’s Pit BBQ. It is insanely addicting and I think it is at least 95% of the reason he was so agreeable to having our wedding in my hometown. So, since right now Sunday is football day in our house, I decided to figure out how to somewhat mimic those heavenly smoked ribs, but I do not have a smoker. This recipe for oven “smoked” ribs has been a game changer! Sure, it isn’t quite the same as the real thing, but it definitely gets the job done to satisfy that smokey rib craving! 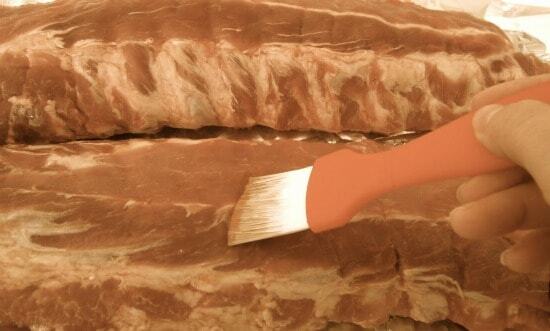 Remove the tough membrane that covers the bony side of the ribs. Brush both sides of the meat liberally with Hickory Liquid Smoke. 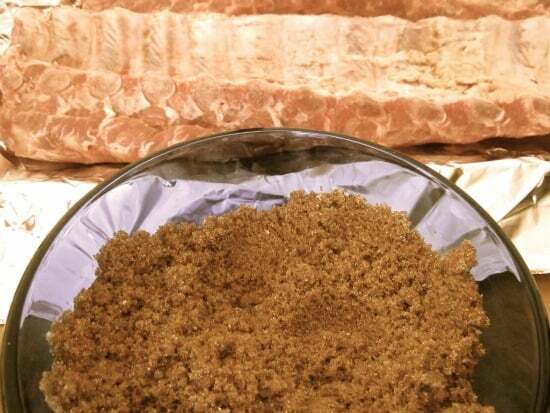 Mix the brown sugar, cayenne pepper, garlic powder, and salt together. Rub both sides of the ribs liberally with the dry rub. 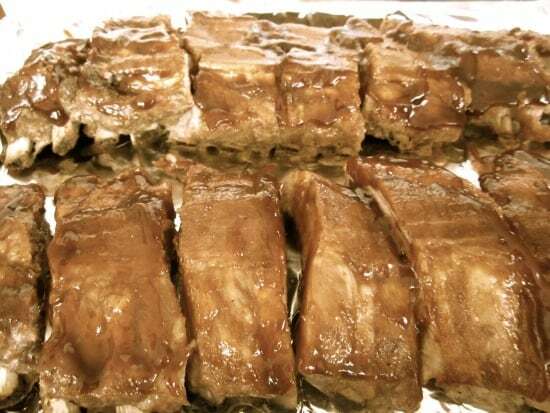 Place the ribs, meaty side down, on a baking sheet lined with foil. 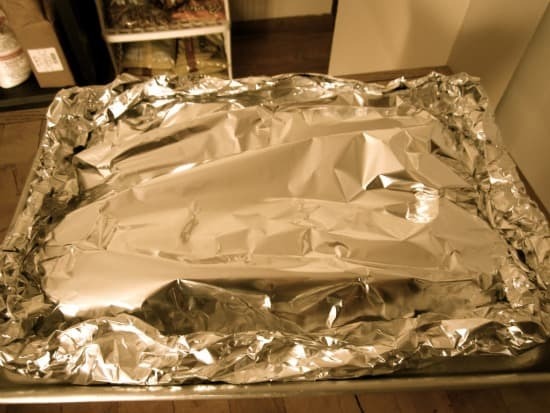 Cover the ribs with another sheet of foil and tightly crimp the edges. Bake at 300 degrees for 2 hours. Remove the ribs from the oven and turn on the broiler. Cut ribs into portions of 2 and brush BBQ sauce on one side. Put under the broiler for 6 minutes. Remove from the over, flip, sauce the other side, and put back under the broiler for another 6 minutes. I’m totally going to try these! !